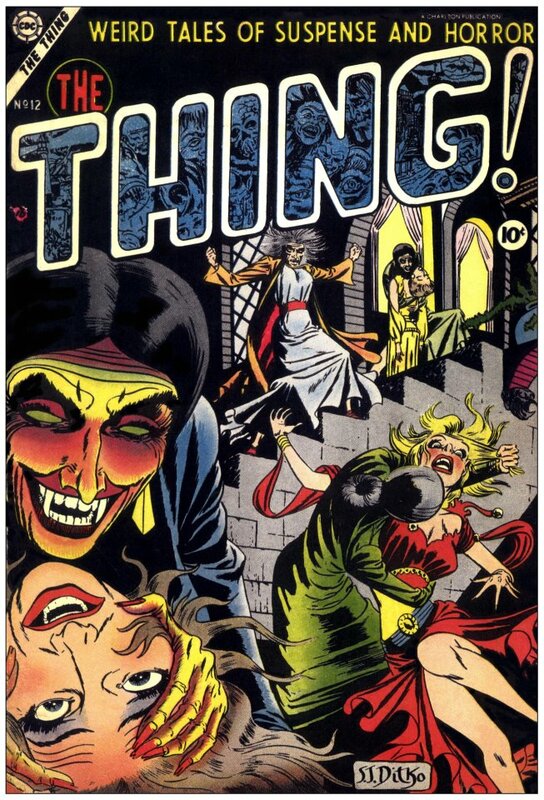 Countdown to Halloween: the Horror of… DITKO! – Dork Forty! 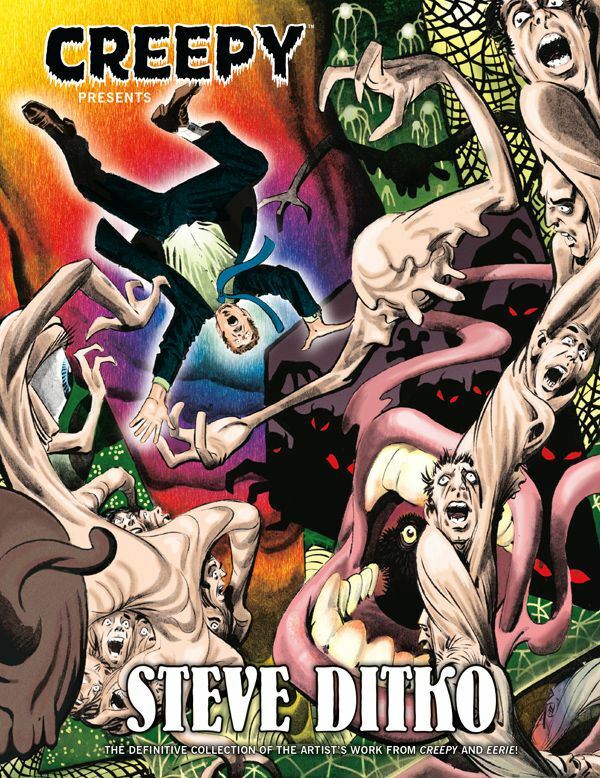 Home » Comic Books » Countdown to Halloween: the Horror of… DITKO! 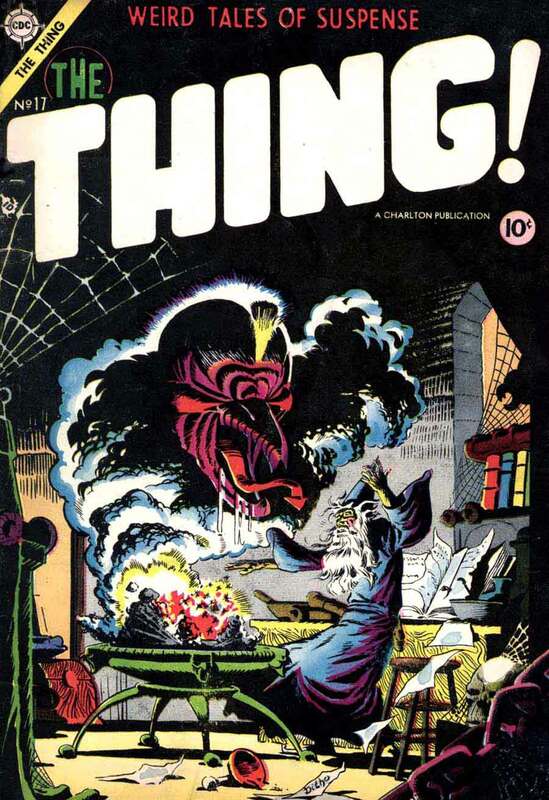 Countdown to Halloween: the Horror of… DITKO! Classic funnybook artist Steve Ditko is best-known as the co-creator of Spider-Man and Doctor Strange among a host of other memorable super hero characters. But around Halloween time, I like to remind people that he was also one hell of a horror artist. 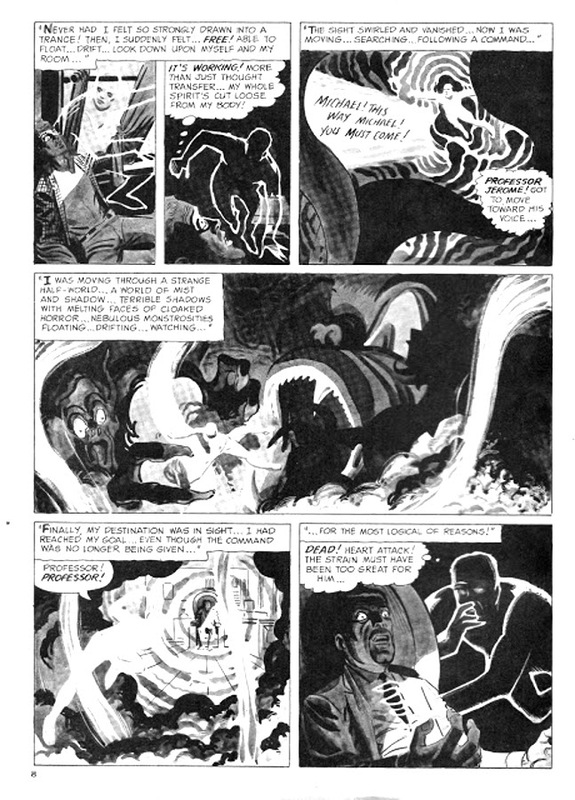 Ditko broke into the industry in the early 1950s, when horror comics reigned supreme, and his gifts for mood, shadow, and bizarre monsters served the young artist in good stead. 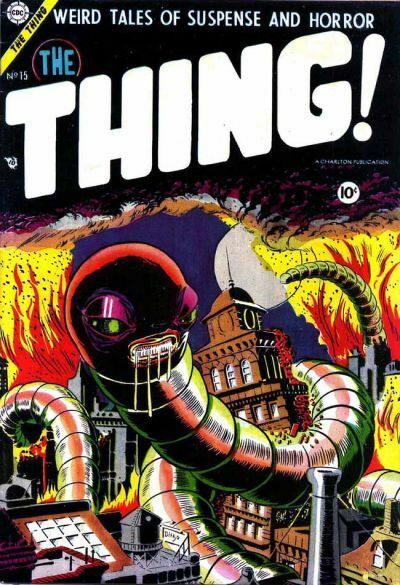 I’m particularly fond of his cover work from this period, especially for a comic with the evocative title of THE THING! This Magazine is Haunted has got to be the best title for a horror comic EVER. Gotta love the direct approach. I also love that cover. The shrunken heads in the background are a nice touch, but it’s the weird yellow-skinned voodoo man that really blows me away. He’s bizarre, sure, but what really strikes me about him is the level of detail Ditko put into his body. That’s not something you’d see from him later in his career, but here he’s rendered every flabby wrinkle of this guy’s abdomen for our horrified pleasure. 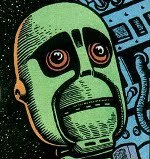 ERRATA: As a reader pointed out to me in the comments below, this is (rather obviously) the work of Jack Kirby, rather than Steve Ditko. D’oh! Not the most horrific image I could have found, I suppose, but… holy crap LOOK at that! 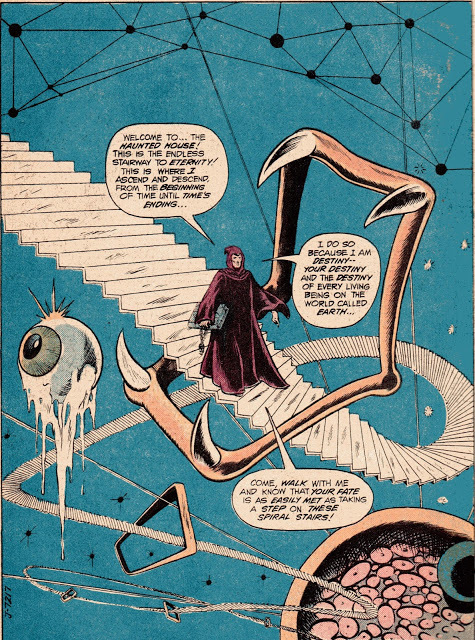 Drippy eyeball, winding infinity staircase, and… microscope view of red blood cells? Ye gods! One company I never knew Ditko had done work for until tonight, though, was Warren. 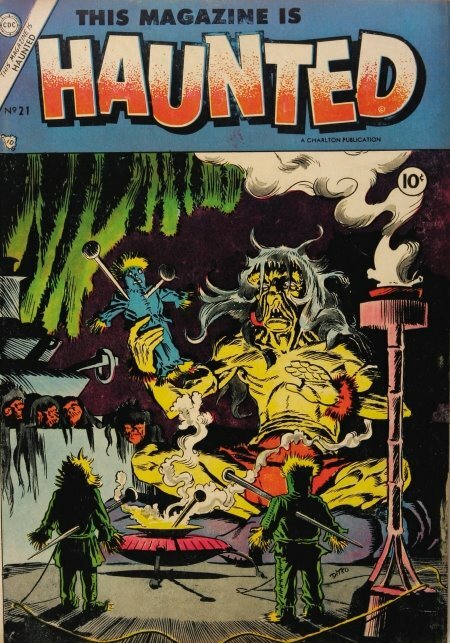 The publisher of Creepy and Eerie, Warren comics were released in a black and white magazine-size format to escape the restrictions of the Comics Code, and at one time employed many of the top names in the business. Names that included, I now know, Steve Ditko. Those gray tones add a texture that’s sorely lacking in much of Ditko’s color work, especially the stuff he did in the Seventies. I’ve only just started looking at these pages tonight, but I already wish he’d done more in this style. It’s not often I get this kind of surprise about an artist I’ve loved as long as Ditko, but this Warren stuff is a revelation. Which… isn’t very Halloweeny, I guess, but whatcha gonna do? 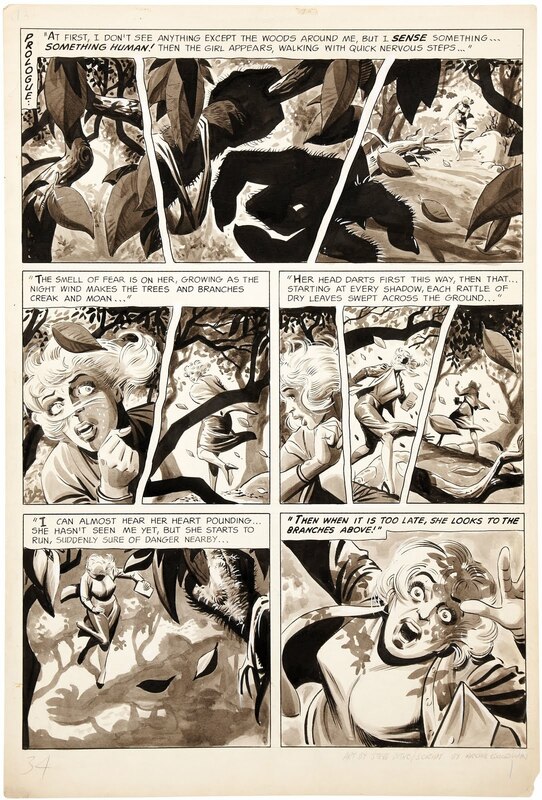 2 Comments on Countdown to Halloween: the Horror of… DITKO! You know, you’re right. 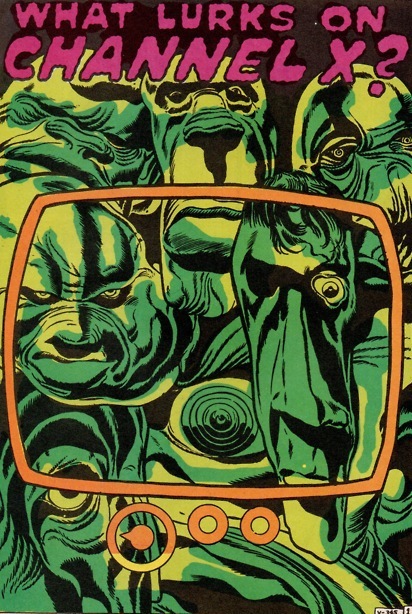 I just did some digging, and that IS Kirby (not sure about the Ayers inks, but I could see that being an Ayers job).